Where better to play an 18-hole game than on one of England’s ‘oldest and finest downland courses’ against the backdrop of Sham Castle. The University of Bath is ranked as the 5th best university in the UK, leading the way in research in the natural and social sciences. Dubbed one of the ‘world’s best bars’, The Dark Horse has a great selection of lip-smacking cocktails in an underground VIP-style venue. Wine capped walls, Georgian architecture and exquisite cuisine nestled within a leading world hotel – the Gainsborough Bath Spa. Indulge in British dishes with a Mediterranean twist at the award-winning Olive Tree, which is said to have the UK’s ‘Best Wine List’. A sensational mix of venerable designer brands, splendid boutiques, and lively eateries in a quaint shopping arcade. Kurt Geiger, All Saints and Tommy Hilfiger are just a few of the big brands at SouthGate, perfect for a spot of retail therapy. This gothic centrepiece is where the very first King of England, King Edgar, was crowned back in 973 – a must-see for history fanatics. This ancient spa is Bath’s focal tourist attraction and one of Europe’s most revered historic sites. The Botanical Gardens is a West Country paradise with nine acres of beautiful parkland and plant life, a West Country paradise. 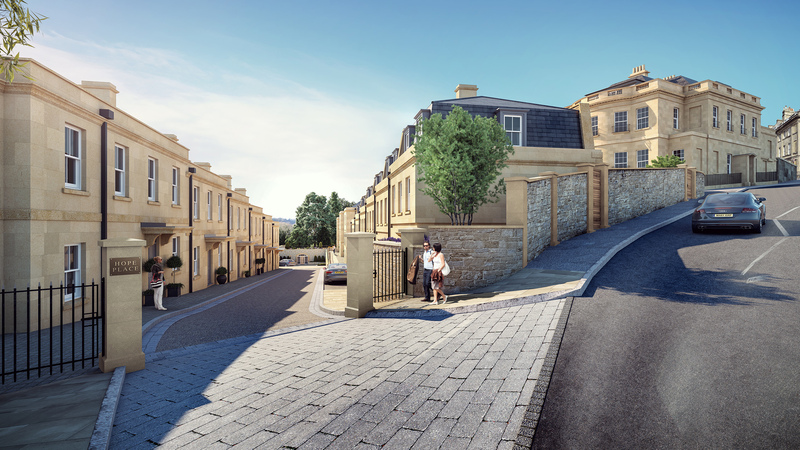 Situated within the treasured Bath Conservation Area in the prestigious residential suburb of Lansdown, Galliard Homes – in association with Acorn Property Group – is proud to present Hope House: a bespoke collection of converted and new-build properties within a six-acre, Grade II listed site. Originally built in 1781, Hope House will be surrounded by vast expanses of parkland and woodland, creating a semi-rural retreat just a short stroll from the heart of the city. Hope House will be divided between four residential quarters – Hope Place, Hope House, Park Row and The Gardens – comprising a mix of houses and apartments showcasing the architectural hallmarks synonymous with the Georgian aesthetic that many of Bath’s buildings are known for. Landscape architects Matthew Wigan Associates have been especially commissioned to design the private and communal gardens at Hope House, whilst interior designers Lambart & Browne are responsible for the striking fusion of classic and contemporary finishes within each of the properties. Bath is the only English city registered as a World Heritage site; home to natural hot springs, reputable educational establishments and some of the grandest buildings in Britain. 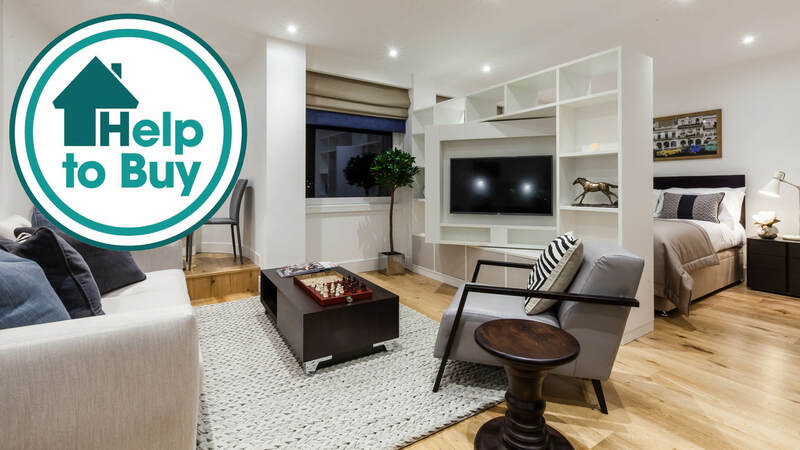 Residents of Hope House will be within a 10 minute walk of Bath’s renowned artisan quarter, Bartlett Street, which offers a plethora of designer stores, boutiques, antique shops, cafés and restaurants. From archaic landmarks and theatres to bustling markets and galleries, Bath is one England’s most quintessential destinations, adored by tourists and residents alike for its never-ending variety of cultural, entertainment and dining opportunities. Residents of Hope House will be around a 20 minute walk from Bath City Centre, whilst Bath Spa station, excellent road connections and nearby Bristol Airport means that travelling around the UK and beyond couldn’t be easier. Direct train services to London Paddington take only an hour and a half from Bath, which will be ideal for London-based commuters. For those who prefer to drive, the development is only nine miles from Junction 18 of the M4, which provides a direct route into London.